Thank you for checking my review policy! NOT taking review requests right now unless you are one of my favorite authors. Your book will be given preference if you are one of my favorite authors/ I have read one of your books that I loved/ You are sending me an ARC and it’s not self-published. If you’re an author/publisher looking for someone to host a giveaway/participate in a blog tour or promote your book in anyway, I would love to help! Click here to Email Me. I do not review erotica on this blog. My reviews usually include my opinion, thoughts, and feelings regarding the book. I do not disclose any spoilers. 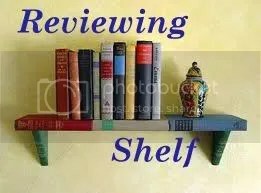 Please know that I will post an honest review, which means that if there’s something I don’t like about the novel, I will mention it. If something about the story irritates me, I will mention it. I’ll mention anything that I liked or disliked but I will never be rude or trash you or your book. I understand how hard you’ve worked at it and I respect that. What formats do I accept? I prefer paperback copies because I love them but ecopies are appreciated! I am also interested in reviewing audiobooks. If you don’t mind shipping to me in India, please let me know and I will give you my shipping address. For e-books, please send me the book in mobi, pdf or epub format. Thanks! How do I rate the books? I’ll also post the review on Goodreads and I follow the same rating system, i.e. 1 Star – I didn’t like it. 4 Stars – I really liked it! 4.5 Stars – Between ‘I really liked it!’ and ‘It was amazing! How long will I take? Please note that a book that I’ve personally requested has precedence over all others. Give me some time to review your books. I will try to finish them as soon as possible but I do have other commitments. This means that I cannot promise you a date that I will read/review it by. I may take a few days, weeks or months to get to it (although this is very rare). If you have sent me an ARC then I will give it a priority. I will e-mail you the link to my review as soon as I post it. If I don’t respond to your e-mail, it’s because I can’t/don’t want to read or review the book right now. If you’d like me to review your book/participate in a blog tour/host a giveaway etc. Click here to Email Me. Please don’t attach a copy of your book without contacting me first! Thanks. **NOTE TO AUTHORS: I am currently SWAMPED with requests and want to tell you that if I don’t respond to your email, I am very sorry. Please feel free to send the request anyway. I read them all and look them over even if I don’t have time to answer them. If I don’t reply, it doesn’t mean I’m not interested. I just don’t have the time to answer them all. So if you don’t hear back from me, I’m not ignoring you. I read every single request that gets sent. If I do read and love your book, I will reach out to send you a link to the review once it goes up. I really liked your review policy. Made me think I should add one to my blog myself. But I have a question though, how did you add colours to this? Just curious. I hope you don’t mind. Even though you have said you are currently not taking any review request, I am just leaving a short Promo video of my book. If the subject interests you and you are open to reviewing it, then let me know on rashmitheauthor@gmail.com. May I send you an electronic copy of my book “Heron Baby Island” for review? It is the first of a series, the first three of which are finished, but it is the only one published. When the girl of his dreams trips over a high school nature photographer catching him in the act of photographing a rare bird bringing them face to face for the first time, in order to prove his worth to her, he initiates a large ecological project that will change the lives of everyone around them. Please send me a copy of your book, Robert. Thanks.